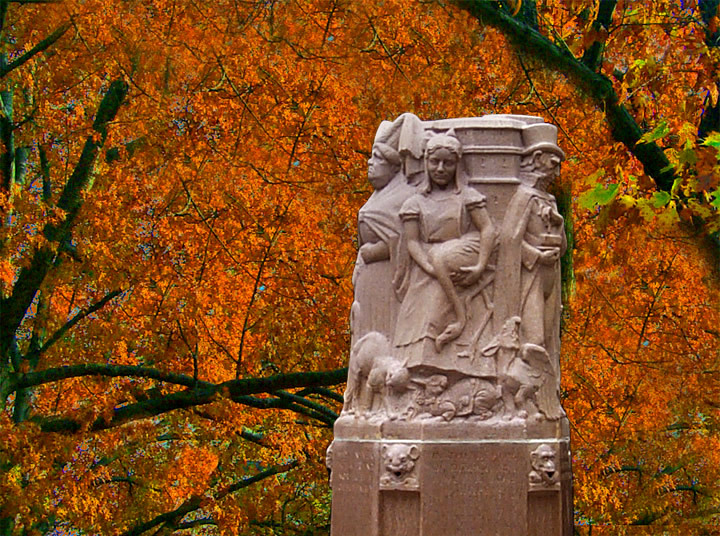 Miami In Focus Photo Gallery of the Alice Statue At Loeb Fountain E77 in Central Park. Not readily accessible to most Central Park visitors, many children and parents know of this sculpture only because it is located inside the Levin Playground. 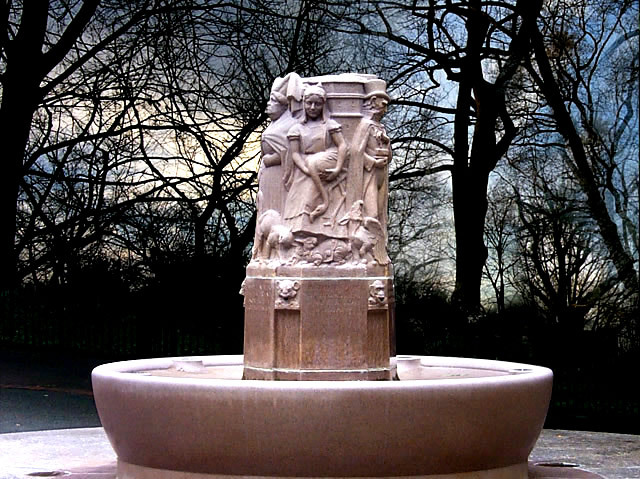 Its original location was within the Heckscher Playground where it served as a drinking fountain, but it was since moved to its current home in 1987. 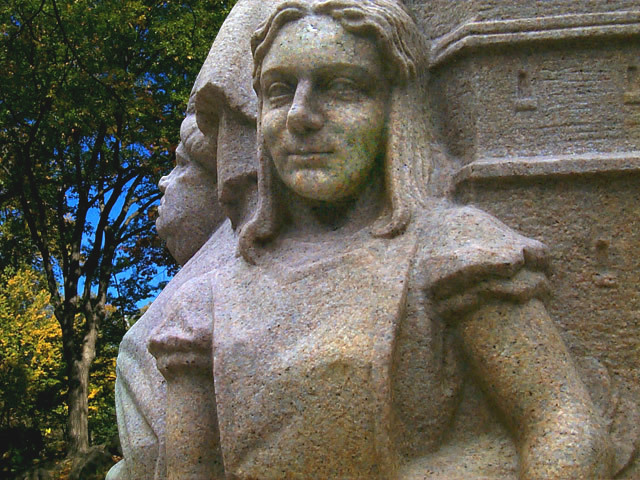 This stone sculpture depicts several of Lewis Carroll's characters including Alice, the Mad Hatter and the Queen of Hearts. In the hot summer months, water sprays out of nozzles that surround the tatue, cooling off children who love to run through the satisfying mist. Not far away on the north rim of the Conservatory Water is the statue of Alice In Wonderland, one of the most cherished in the Park.